The Community Catalyst Initiative seeks to inspire and challenge museums, libraries, and their partners to transform how they collaborate with their communities. A catalyst ignites transformational change by producing energy in combination with other resources. In this case the focus of change is combining museums and libraries with their community’s visions and plans that then sparks ideas, energy, and action. The Community Catalyst Initiative is designed to develop and promote the tools and approaches that can support increased capacity in community engagement, building upon the findings from the 2016 Strengthening Networks, Sparking Change report and town hall. creating a draft Theory of Change (PDF, 134 KB) to establish actions, outputs, and longer term outcomes that are anticipated from capacity-building and research projects. Cohorts of Community Catalyst grantees from 2017 and 2018 are receiving capacity-building and coaching support in Asset-Based Community Development (ABCD). The ABCD approach is a strategy for sustainable community-driven development that relies on local community members. It includes individuals who are often left out of planning and decision making to foster conditions for broad ownership of the development process. Grantees are also applying developmental evaluation to their projects. This evaluative approach allows them to innovate in complex and uncertain environments while implementing projects focused on social change. They are able to actively monitor and adjust approaches and assumptions to enhance the outcomes of their projects. Support to grantees for ABCD and developmental evaluation is provided through a partnership with DePaul University and the Asset-Based Community Development Institute. The Environmental Protection Agency assisted four of the 2017 grantees through Building Blocks for Sustainable Communities. This program provides technical assistance to help participants achieve their community development goals, improve quality of life, and become more economically and environmentally sustainable. 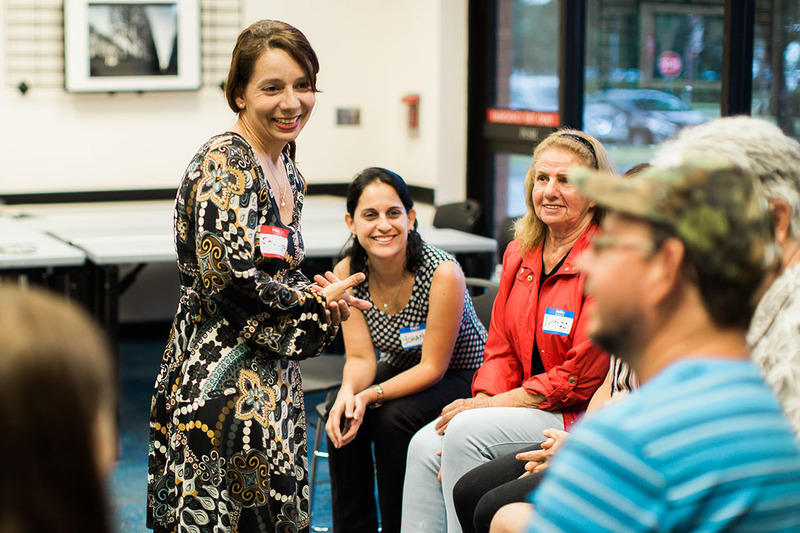 IMLS is assessing Community Catalyst’s capacity-building effects within a cohort setting where grantees come together to receive training, share progress on their projects, and discuss challenges and new insights in working with their local communities. This “meta-evaluation” is being conducted in partnership with ORS Impact. IMLS and its collaborators are studying how museums and libraries contribute to the wellbeing of their local communities. The intent of the study, Understanding the Social Wellbeing Impacts of the Nation’s Libraries and Museums, is to gain a better understanding on a national level of the conditions under which museums and libraries contribute to social quality of life, economic prosperity and other aspects of wellbeing. The new study will focus on these institutions’ essential roles within a community to help them demonstrate the success and impact of their programs and services. IMLS’s investments in these activities align with the agency’s current Strategic Plan, Transforming Communities, by strengthening the capacity of museums and libraries to improve the wellbeing of their communities. In addition, it is integral to the agency’s commitment to increase access to information, ideas, and networks through libraries and museums. Finally, it promotes agency excellence by using findings from grantees and other related sectors, such as social service, local governments, funders, and community development corporations, to inform the agency’s work and improve the practices and effectiveness. Community Catalyst: How Do We Know We Are Having An Impact?